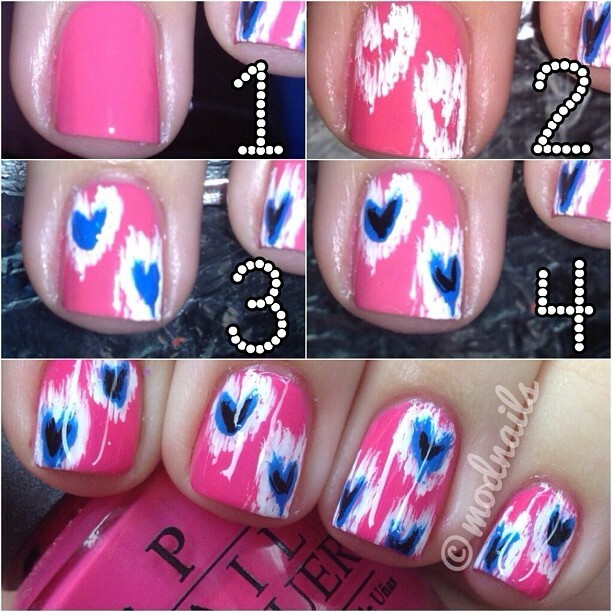 1) Paint your nails with a base color. 2) Using a striper brush gently make little lines in a rough heart shape. 3) With another color make a v shape with the brush inside the lines. 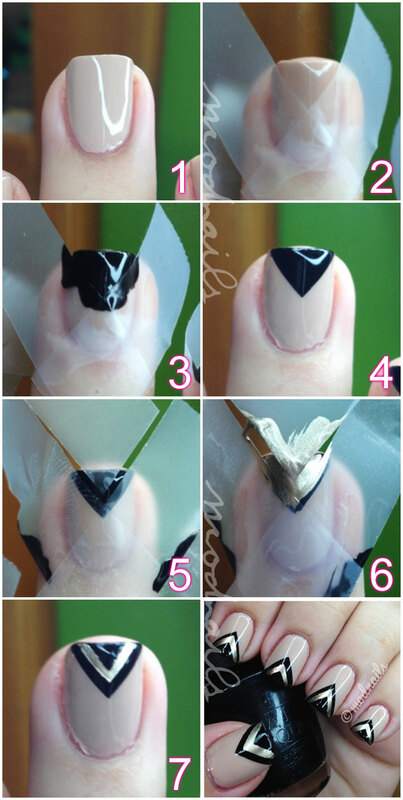 4) Add a small v in black to finish it off along with your favorite top coat and you're done! Let me know if you have any requests for a youtube tutorial!